The 1960's represented a time of great advances in music recording & reproduction. During the period that The Beatles were recording [1962-1969] the primary format was Mono. The installed base of mono players was massive with stereo the preserve of hi-fi fanatics & some easy listening and classical purists. In fact, Mono was so important that the Beatles themselves [once they had started to take an interest in the physical production of their music] normally attended only the Mono mastering sessions. The stereo mastering was often done separately & sometimes quite a bit later without their involvement. So, for many, the Mono masters are considered to be the pinnacle of audio reproduction of The Beatles. This is the band how they were meant to sound at the time given the importance of the single channel medium. From 'Please Please Me' to 'The White Album', all the original mixes are represented here in full, glorious mono. 'Past Masters' has been recreated as Mono masters to reflect this period, duplicating the 'Past Masters' tracklisting with the exception of tracks that only ever appeared in stereo. As an added bonus, five tracks [never previously released in mono on CD] are also included. These are 'Only A Northern Song', 'All Together Now', 'Hey Bulldog' & 'It's All Too Much' [from the 'Yellow Submarine' project] plus 'Across The Universe' as recorded for the WWF. These were originally scheduled for release on a 1969 EP. There is a fantastic essay in the Mono Masters booklet that explains in detail the history of these recordings & goes some way to highlight just why these versions are so cherished. With the collector in mind, both 'Help!' & 'Rubber Soul' now also contain the original 1965 stereo mixes on CD for the first time, since Sir George Martin had actually remixed these for their CD debut in 1987, rendering these original stereo mixes unavailable. 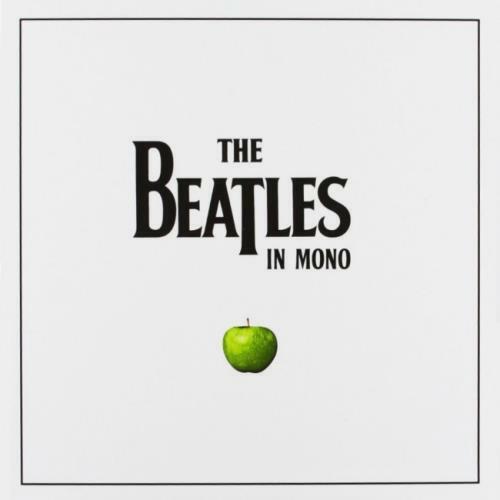 Apart from the first four albums ['Please Please Me' to 'Beatles For Sale'] which have been available in mono on CD since 1987, the remaining titles are making their CD debut in this format. Product Information The Beatles The Beatles In Mono UK CD Album Box Set.